9 cute cottages, a property with plenty of Polynesian charm and great food. Excellent snorkeling. OPOA BEACH HOTEL is situated on the South of the Island of Raiatea, the « Sacred Island », which shares its superb blue and turquoise lagoon with Tahaa, the « sister island ». * Original birthplace of the Maohi culture, authentic villages. 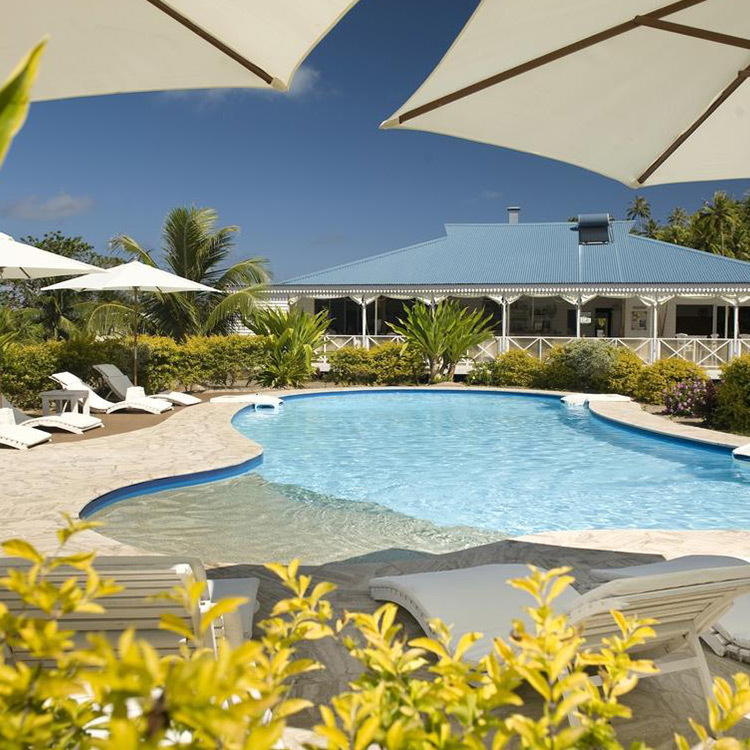 Hidden in the middle of a dense forest, Opoa Beach Hotel is found on the side of the lagoon with a fine sand beach and great views of the lagoon, « the birds » motu, the coral reef and some fabulous sunrise over Huahine. This small charming hotel was hand built by French Polynesia lovers to offer to its guest’s authenticity, serenity, warmth, in one word: all you need to make your holidays a success!